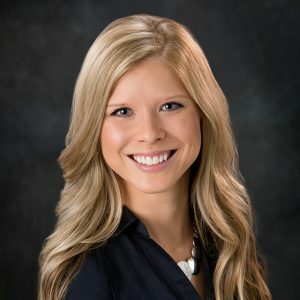 With initial plans to become a financial advisor or a real estate agent, Ellen started working in the mortgage industry part-time over a decade ago, while she was finishing her bachelor’s degree in Finance and Real Estate at the University of Northern Iowa. She began her full-time career as a loan originator, but due to a passion for improving the mortgage process, she transitioned into a role in mortgage operations. During this time, she managed and trained groups of processors, all while providing effective, efficient and personalized service to her clients. Ellen decided to move back into mortgage originating to help even more clients reach their home buying goals. Her vast experience in all stages of the mortgage process, means less surprises and an overall better client experience. Ellen strives to provide personalized service by focusing on the long-term relationship with her clients – not just the transaction. In her free time, Ellen loves spending time with her husband and extended family. Ellen is licensed to originate loans in Minnesota, Iowa, Wisconsin, Illinois and Arizona.